As I sit here typing this, outside my study window the snow is falling quite heavily onto an already deeply-whited landscape. I went for a walk this morning, and out in the fields I found drifts of snow that threatened to tip over the top of my wellies. 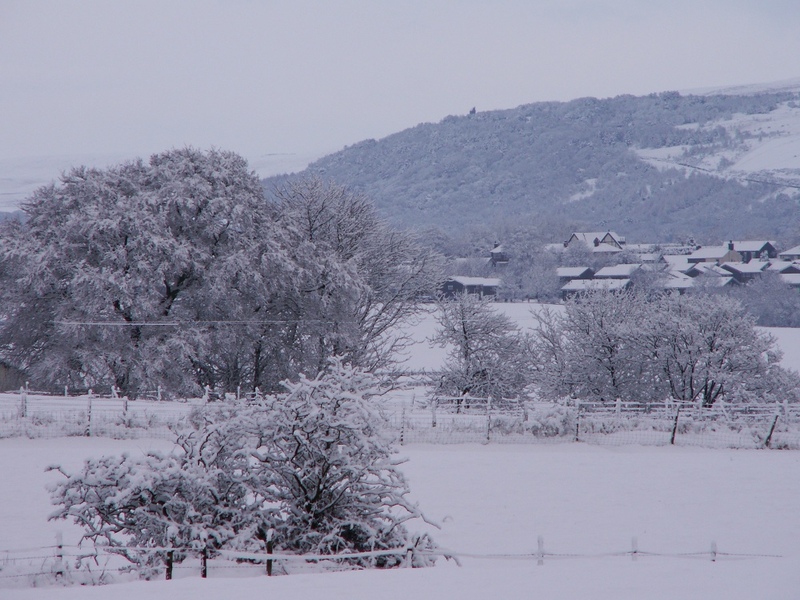 Snow transforms the landscape into magical, fantastical vistas and yet also brings the very real threat of traffic accidents, delays (I’ve had no post today) and at the extreme, death. Snow is both exhilarating and frightening, beautiful and deadly. Many people prefer to remain locked up tight and warm indoors at times like this, sipping cocoa and hot soup, but I like to get out, specifically to the pub, for a pint or two of a doughty, warming dark ale. You knew something like that was coming, didn’t you? 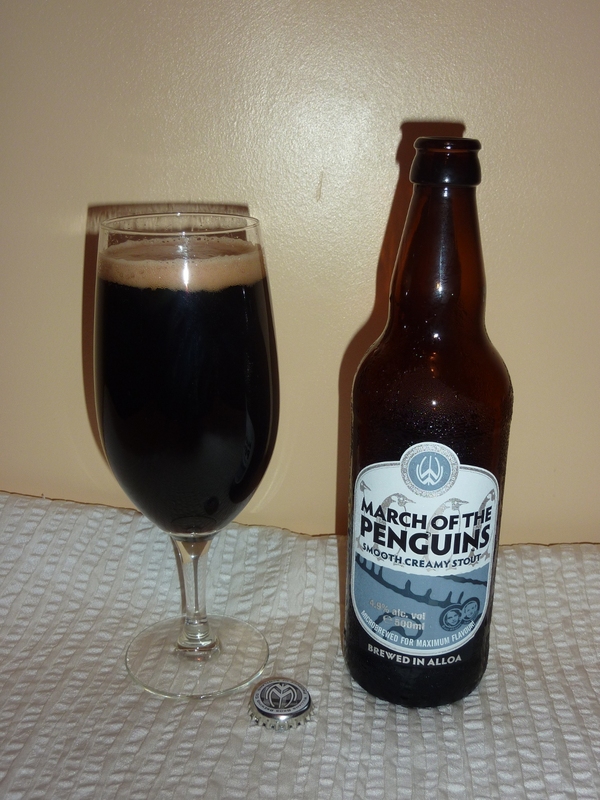 Williams Brothers March of the Penguins is a 4.9% dream of a stout, pouring a very dark brown colour rather than black with a good brown head. Masses of body complimented by a strong, dark flavour, the beer is creamy and sweet with a deliciously malty start which transforms into a finish that is both mildly hoppy and slightly fruity. Deeply satisfying. 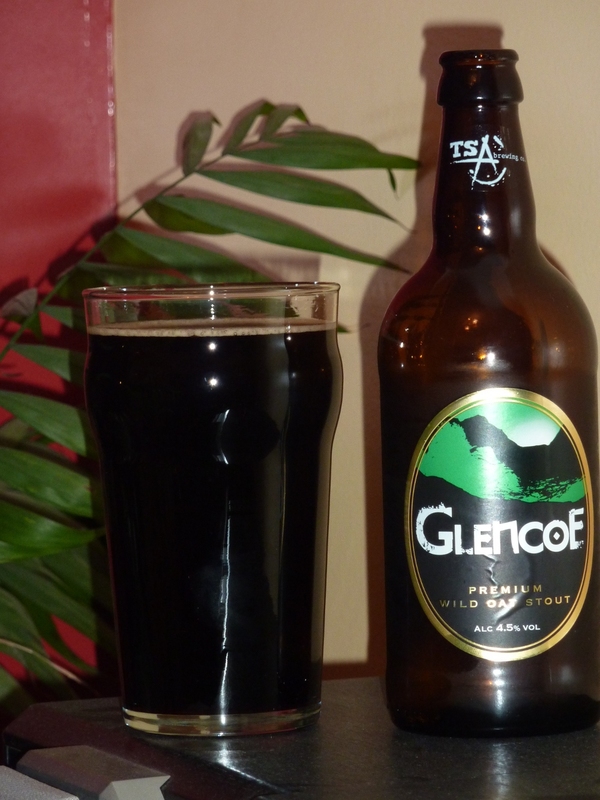 Traditional Scottish Ales Glencoe is our second stout from Scotland, described on the bottle as a ‘Premium Wild Oat Stout’ of 4.5% ABV. It is a very dark red in colour, the redness only really visible if you hold it up to a light. Coffee and chocolate aromas dominate the smell. The mouthfeel is smooth and velvety, a rich and malty taste with strong chocolate and coffee flavours. 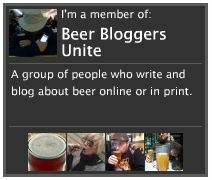 There’s something else here, nagging away at the edge of the taste – is it the oats? Could be. There is an underlying hint of smoke throughout the taste. Simply fabulous. Blakemere Deep Dark Secret is again very dark red, virtually black, just hints of red in direct light. The head is light brown and short-lived. Weighing in at a respectable 5.2%, this dark ale, described on the label as a ‘liquorice porter’, is quite distinct in its flavour profile. The taste is very dark, malty and bitter. Yes, there is liquorice in the taste, but this isn’t like the stuff you chewed in the playground. It’s very dark and bitter and ultimately far more satisfying. Tatton Obscure will blow your conceptions of dark beer right out of the water. Described on the label very vaguely as ‘real Cheshire ale’, this 5.7% beer is guaranteed to surprise you. If you’re like me, it will also delight you. It pours a beautiful deep red in colour, and the smell is not what you expect. You would expect malt, fruit, maybe coffee and chocolate, but no, what you get here is strong, dark hops. The taste is a revelation. It is strongly malty, giving it a dark chocolate taste with strong notes of burnt caramel and treacle. The overarching flavour, though, is those dark, bitter hops, making this a very hoppy, very bitter beer. Absolutely outstanding. Ridgeway Bad King John is the strongest beer in this selection. It’s 6.0% and is a dark reddish-brown in colour. This beer provides a whole mouthful of flavour. It’s very dark with strong bitter malt. The label says the flavour is ‘intense’, and that’s about as good a word as I could have thought of to describe it. It is full of darkness with a distinct espresso flavour along with hints of chocolate and dried fruit. Definitely a different taste experience from those earlier creamy stouts, but then it does not claim to be a stout, merely describing itself on the label, somewhat mysteriously, as ‘a very English black ale’. Well worth seeking out. Thanks for reading. More dark beers to follow. 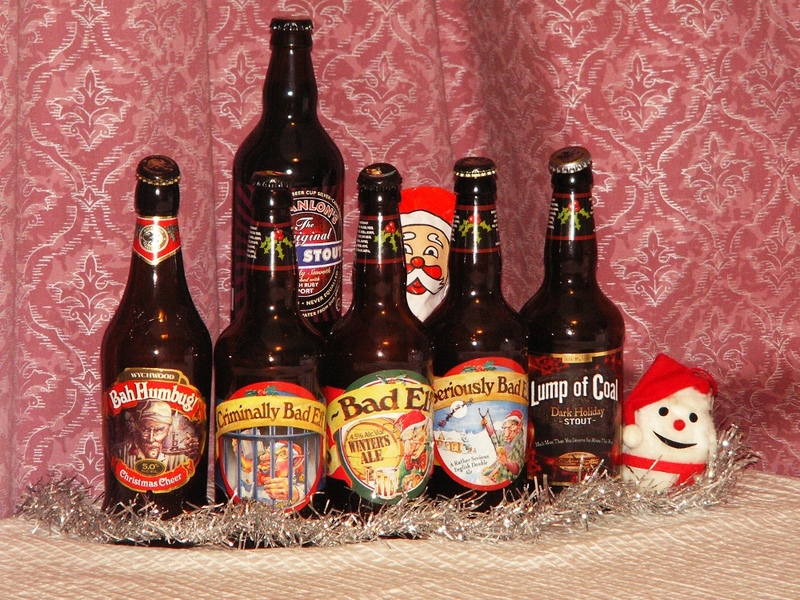 Christmas is an interesting season for bottled beer, as many brewers produce seasonal ales just for this time of year. None more so than Ridgeway in Oxfordshire. I picked up five themed Ridgeway bottled beers from Booth’s supermarket. Ridgeway regularly produce Christmas specials, but they can be very hard to find, as most are intended for the foreign market, as were these. All were marked as being for export to the USA. How Booth’s got hold of them, I don’t know, but I’m glad they did. The beers were Bad Elf, at 4.5%, Very Bad Elf at 7.5%, Seriously Bad Elf, at 9.0%, Criminally Bad Elf, at 10.5% and Insanely Bad Elf at 11.2%. 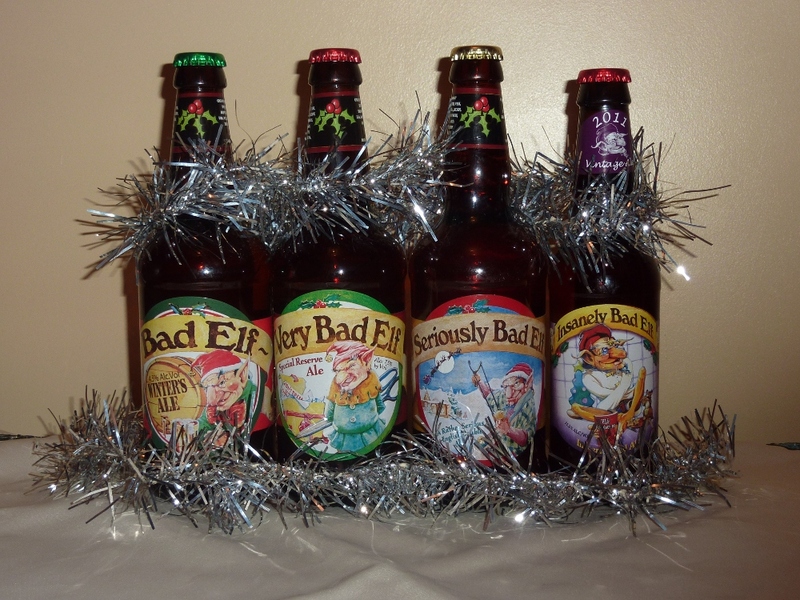 Starting with the lowest ABV, the rather fuzzy label on the bottle of Bad Elf depicts an unattractive elf helping himself to a draught from a huge beer barrel – what’s bad about that? Bad Elf is bottle conditioned and a light orange in colour. The smell is enticing – spicy and hoppy. The initial taste is briefly sweet, quickly followed by a satisfying swelling of very aromatic hop bitterness. The aftertaste is long and dry. Altogether a very satisfying drink, very nice indeed, though I did think it odd that this was classed as a Winter Ale – specifically a Christmas one. The taste is more reminiscent of light, hoppy summer beers. The second bottle was Very Bad Elf. I was aware that even though I was only on the second bottle in increasing ABV, I had already reached 7.5%, strong by anybody’s measures. The label depicts our elf, with a wicked grin on his face, opening packages clearly marked ‘Do not open until Christmas’. The colour is a mid-orange, bright and attractive. There is a lovely smooth chewy mouthfeel to this beer. A spirituous alcoholic overtaste is also clearly discernible. There are hints (no more) of fruit and toffee, but overall, this beer does not have a huge amount of flavour. The third bottle tried was Seriously Bad Elf. The again fuzzy label depicts the elf holding a schoolboy catapult, taking aim at a flying sleigh with Christmas baubles. OK, he’s getting a bit naughty now. Seriously Bad Elfis serious indeed, weighing in at a hefty 9%, and is described as an ‘English Double Ale’. These super strong beers tend to be a bit hit and miss in my experience. Some of them provide amongst the most sublime drinking experiences, whilst some just end up being foul. Fortunately, Seriously Bad Elftends more to the former than the latter. This beer has a very similar look to the 4.5% Bad Elf, being only a shade darker orange colour. There is no indication on the bottle that this beer is bottle conditioned, and there was no trace of yeast throw in the bottle. The beer has a slightly thick but very smooth mouthfeel, and the overall flavour is sweet and warming with some nice hoppy bitterness in the midtaste and a nicely rounded finish. The label on the fourth bottle now shows our hero behind bars in a stripy shirt. Maybe he got caught flinging baubles at Father Christmas. Criminally Bad Elfcomes in at a whopping 10.5%. It is described on the bottle as a ‘Barleywine (sic) Style Ale’. The colour is a similar orangey-red to the previous two, but again a shade darker than Seriously. This ale does not form a good head, what little froth that first appears soon fades away. The mouthfeel is quite thick, but very smooth, almost velvety. This initial taste is cream, which fades and runs into a smoothly sharp finish. 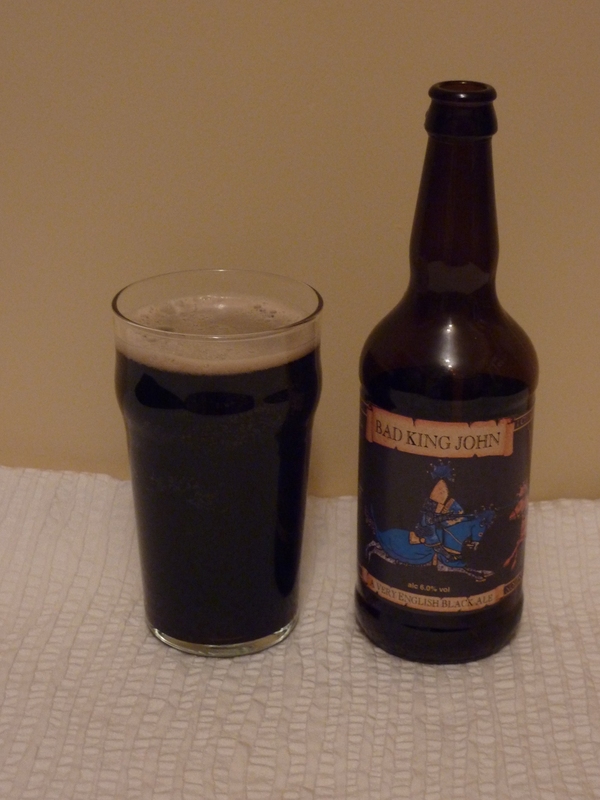 It’s excellent, the comfortable way it slips down belies its eye watering ABV – beware! Finally I reached the summit of elfdom, the 11.5% Insanely Bad Elf. The label now shows our hero sitting on the floor, wearing a straitjacket and drooling unattractively. This bottle is smaller than those for the other four elf beers, just 330ml as opposed to 500ml for the others. There’s a reason for that. Even the smell has a kick. The taste is very strongly alcoholic and is paired with a thick, viscous mouthfeel. The taste (when your heroic taste buds manage to climb over the alcoholic mountain to get to the flavour) is quite bitter and earthy. The aftertaste remains earthy but tends towards dryness. I don’t think I would drink this one out of choice. It’s just too strong and the taste isn’t worth the effort of reaching for. What I would do in the future with this beer is to put it down for a few years, and try it then. I can’t help thinking that this would transform it, perhaps into something quite special. Altogether this quincunx of ‘Elf’ ales from Ridgeway is a real winner. There’s enough strength to satisfy the dedicated strong ale drinker and enough variety to satisfy anyone! I must point out that I didn’t sample them all on the same day! Well done, Ridgeway. It’s a shame that these beers are principally brewed for export.